With the announcement of Nvidia's GeForce Partner Program, Asus thought it would be wise to differentiate its GPU brands into ROG (for Nvidia) and Arez (for AMD). Since the GPP was killed in its infancy, speculators were quick to proclaim that the Arez brand will cease to exist as well. Asus retorted promptly, dismissing any greatly exaggerated rumors. Asus renamed all of its formerly known ROG AMD-based GPUs creating the Arez brand one month ago, and analysts suspected that this was in response to Nvidia’s controversial GeForce Partner Program. This way, Asus could associate the ROG brand with Nvidia, while the new Arez would solely feature AMD GPUs. Meanwhile, Nvidia cancelled the GPP program, which was intensely hated upon by market specialists. In the aftermath of GPP’s demise, everyone lost it when the Arez AMD GPU brand from Asus was declared defunct via a supposedly legit Twitter account a few days ago. Asus promptly reacted to the uproar and declared that Arez is alive and well. Here is what really happened. 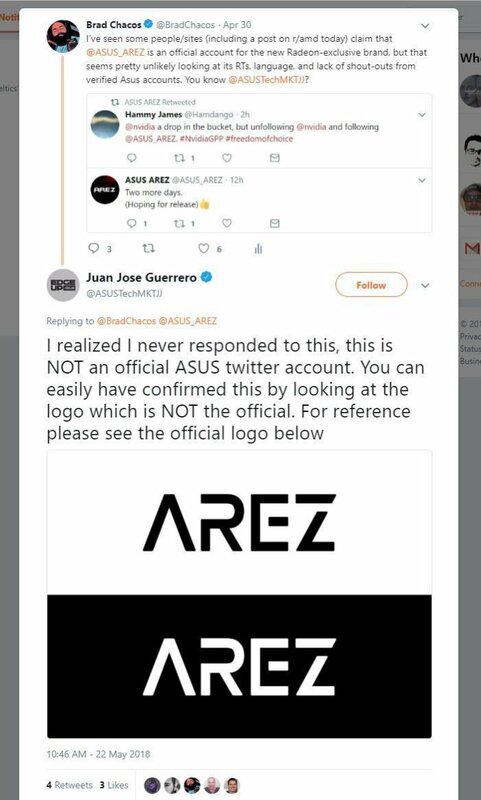 The killing of the Arez brand was announced via a fake Twitter account that had the @Asus_Arez handle and also a non-official logo. 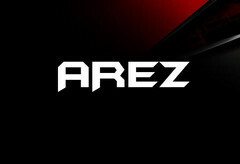 Most major publications did not realize that this was a fake account and proceeded to proclaim the death of the Arez brand, and thus, Asus was forced to react immediately via its technical marketing manager Juan Hose Guerrero, who explained that Asus is not going to kill Arez any time soon and people should pay attention to details. Of course, the fake account is now suspended and all is back to normal. Moral of the story? Keep your sources close, but keep you salt even closer.